This beautiful girl is Kiva. 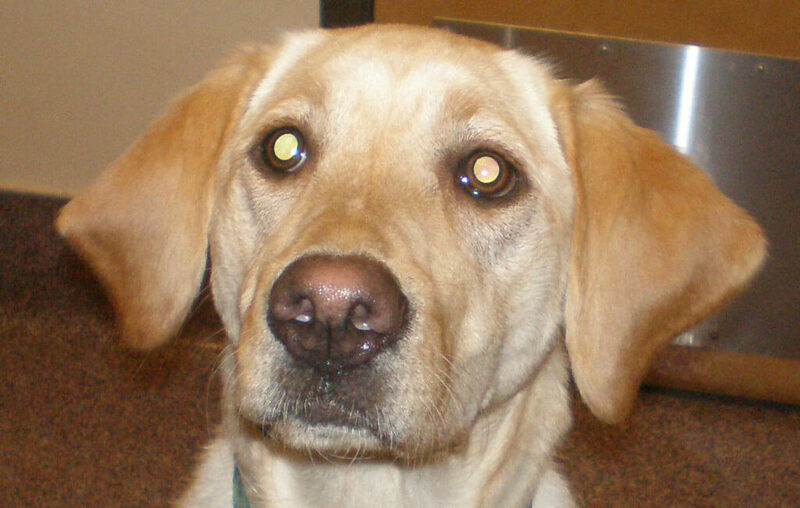 Kiva is a 6 year old lab that developed a chronic cough a while back. An x-ray was performed which showed an area of inflammation in one of her lung lobes. Oral antibiotics were prescribed and Kiva improved, but once she had finished the antibiotics she began to cough again. Lab work was ordered, however, the results were inconclusive as to the cause of Kiva’s cough. A CT scan revealed that part of her lung contained a localized mass or infiltrate. Surgery was performed and the affected part of her lung was removed. 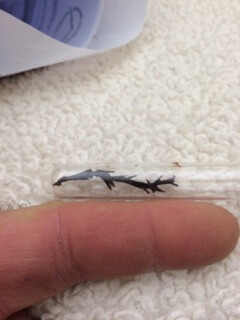 Upon inspection of the removed lung lesion, foreign plant material was found embedded in the tissue (see photo to right). Kiva recovered well and has not had any more issues with coughing. Congratulations Kiva on being this month’s Pet of the Month.